Stevens Insurance Agency West Chester OH - Stevens Insurance Agency, LLC. Do you live in the West Chester or Cincinnati/Dayton Region? Stevens is ready to help! 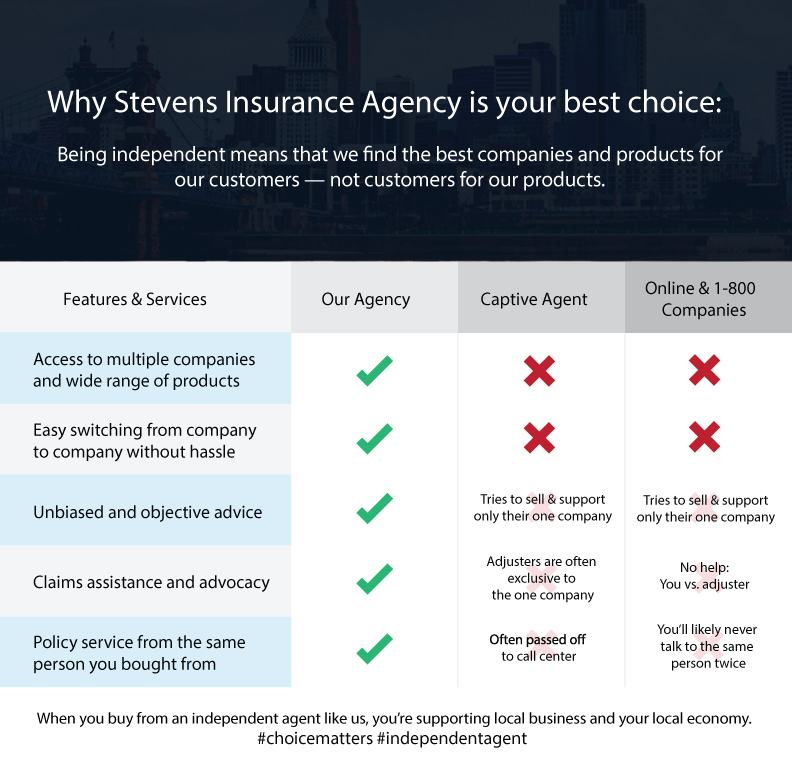 WHY CHOOSE STEVENS INSURANCE AGENCY? Are you a current client? Visit our service centers below.